Rollshutters are the ultimate solution when you want to protect what’s behind your windows in the Okanagan . They are excellent security solutions for your Okanagan business or home. 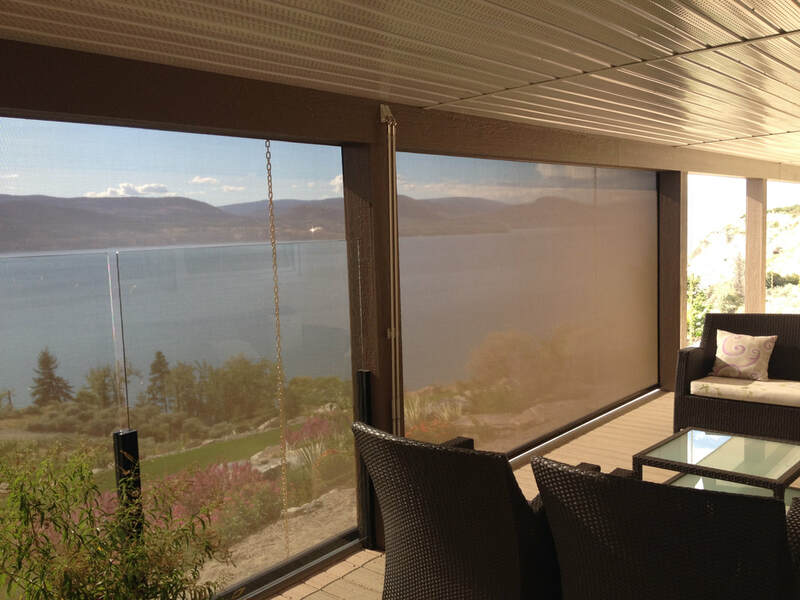 Easy to see through and completely retractable, Habitat Solar Screens let you enjoy a cool, comfortable environment without sacrificing your view in the Okanagan and West Kootenays. Habitat Screens are the perfect solution for your Okanagan deck, patio or even garage. Anywhere you want privacy, insect free comfort and cooling shade, Habitat Screens are the answer. in cool, shaded comfort with our selection awnings. KR Solar offers a wide range of awnings to suit any shading need for your home. If the heat of the Okanagan sun is keeping you from enjoying the outdoors, imagine the possibilities with Stobag Awnings. Cool shade, reduced glare, UV rays are blocked, and your living space is expanded…giving you more room to play, relax or entertain!